Think of some of your favorite sequels out there – Uncharted 2 or Portal 2 or Diablo 3. How do they make you feel? Sometimes it can be hard to describe what was great about a fantastic sequel, other than it was just awesome, or, phew… they didn’t screw it up! Once you know this, the hard work of designing a fantastic sequel becomes a little bit easier. Still an impossibly monumental task at times, but… slightly less impossible. Playing a good sequel should be like meeting an old friend after a few years apart. Your friend has done new things; maybe he has a tattoo now or has started an exotic dog-painting business. Your friend has also (hopefully) improved himself. 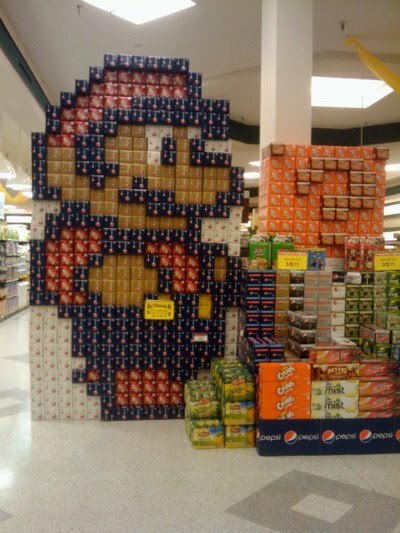 Maybe he’s gotten better at resisting the urge to hulk-smash creative displays of stacked food in the supermarket. But most important, your friend is still the same old person you feel comfortable being around and interacting with, and because of that, it’s only a few minutes before you’re having a great time together. The most important part is that a sequel feel familiar, otherwise you risk alienating your fans. Don’t redesign aspects of your game just because you want to leave your mark on it or because you think everything has to be better. What gameplay elements do your fans like best? What are their favorite weapons, power-ups, tactics, equipment, decorations? What characters are their favorites? What story elements elicited the strongest reactions? What inside jokes do players latch onto? Which locations are the most iconic in your game world? What music tracks psyche them up? What are players sharing the most on Twitter, Facebook, and YouTube? For example, perhaps the sniper rifle in your FPS is the weapon of choice for 45% of your players. Maybe you don’t like that balance. Maybe you feel it’s overpowered. But to change this weapon is to risk losing your loyal following. Instead, leave it the way players love it, and balance your game away from an overpowered sniper rifle through the design of your other weapons and abilities. This is perhaps the easiest part of designing a sequel. It’s a designer’s natural tendency to improve all things (and this is also why the part above is so difficult). This 1/3 of the game is all the stuff that worked pretty well in your previous installments which maybe players didn’t respond to as positively as you’d expected. Or maybe these things worked well for a while, but with added depth or tweaks, could be fantastic. Or you just need to live up to the current bar in gaming. Skills. Self-improvement is a key aspect of creating compelling game characters and strong gameplay. In The Sims 3, we strived to give each level of every skill unique, obvious benefits. And we didn’t want them to end when you reached level 10, so we added achievements that would take more dedication to fulfill. For example, athletic skill has a “Marathon Runner” achievement for running 500 kilometers in the game, and the benefit is a longer life. Create-a-Sim & Build/Buy Modes. When working on The Sims 3, we’d often walk around yelling, Customize Everything! to each other. The creativity tools are fundamental to the sandbox nature of The Sims, and we wanted to give players more control over their Sims and homes. Create-a-Sim now lets you alter details of your Sim down to custom eye color or multi-tone hair colors. Build and Buy Mode upgrades include a higher-resolution placement grid, shortcut keys to go completely off-grid as well as rotate to any angle, and place objects on surfaces. And nearly all clothing and objects let players replace their textures and then customize and save the colors in those textures. Time Controls. I want to mention a less obvious improvement. We realized that when players fast forward in The Sims 2, often they only fast-forward a single interaction, then jump back to normal speed so they can calmly pick a new action. And they’ll bounce back and forth like this a lot. To help cater to this play style, we added a “Skip” action – which is essentially like a “next track” button on your MP3 player. It fast-forwards the Sim through the current action, then goes back to normal speed automatically, so you don’t need to try timing it yourself. The Create-A-Style tool lets you swap materials on objects and clothing and lets you change the colors of those materials. It uses color theory to let you match multiple colors at once. In this scene, the bed is being redesigned. Sometimes the next step is clear. In The Sims 3, that step was: build a seamless, clockwork neighborhood where all the Sims are living alongside you. This one big step led us to many of our other new features, which built on it, or supported it – features like collecting butterflies and gems in the world (to keep the space between homes interesting), and a “story progression” system (to keep all the other Sims aging, employed, and full of drama as time passes). Sometimes the next step is not clear. Either way, this part must come from reflecting on your previous titles, from an awareness of your community’s desires, and from your design-filled heart. This recipe isn’t a magic hammer, and the proportions are just general guidelines. You’ll also still have all the hard work of actually designing the ingredients. But if you begin to think in these terms of 1/3 The Same, 1/3 Improved, and 1/3 New, you’ll be more likely to end up with a sequel that broadens your audience, makes your fans feel at home, and builds your brand into a series of hits.